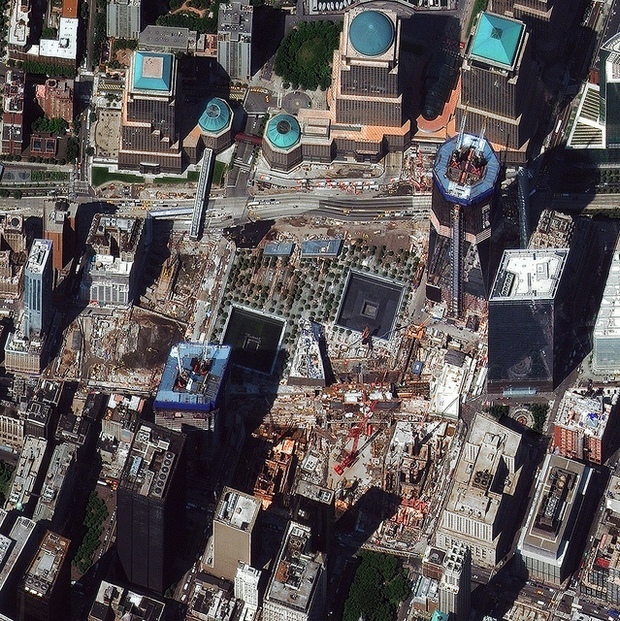 DigitalGlobe, the firm that provides much of the imagery for Google Earth, is launching a next-generation satellite in 2014. However, the super-sharp images of the WorldView-3 aren’t for Google and Bing Maps: They’re going straight to the military and intelligence agencies. DigitalGlobe, the Colorado-based imaging firm responsible for much of Google Earth’s, Bing Maps’, and Google Maps’ content, has a new satellite on the way. The WorldView-3 is a super-high-resolution remote-sensing satellite slated for a 2014 launch. Ball Aerospace & Technologies is building the satellite and ITT will be responsible for the WorldView-3’s optical imager. However, the primary audience for Worldview-3 pictures won’t be Google. Images from the new satellite are mainly intended to be sold and licensed to the U.S. government. Firms such as DigitalGlobe and their main competitor, Virginia’s GeoEye, earn most of their money from their satellite constellations (or, for the rest of us, their satellites in space) custom-snapping pictures for customers or from resale of the regular imagery the satellites make. These clients range from Google to mining companies to, most importantly, the U.S. government. Unfortunately, the best imagery that comes out of high-end satellites such as the WorldView-3 won’t make it onto Google Earth anytime soon. U.S. regulations prohibit commercial customers from purchasing imagery with anything better than a .5 meter ground resolution. This means that, unless you work for the federal government or for a close foreign ally, you won’t be able to see satellite footage of yourself lounging in a hammock just yet. The best images to make it out of the WorldView-3 will have a considerably better resolution than .5 meters. Once complete, the satellite will have an image resolution that ranges between .3 and .46 meters. Government regulations require images from the WorldView-2 and WorldView-3 to be resampled to a lower resolution before being offered to private customers. Intelligence services and the Defense Department will be able to use WorldView-3 for satellite imagery that is crisper and clearer than anything currently on the market. Instead of Google Earth’s blurry (though admittedly cool) close-up imagery, government customers will have access to images that look like they jumped out of a science fiction movie. According to DigitalGlobe CTO Walter Scott, the company’s three current satellites photograph the earth’s surface approximately six times a year, collecting between 2 and 3 pentabytes of imagery annually. Not all of this data is provided to Google, which receives DigitalGlobe imagery through a special service agreement. Microsoft has a similar agreement that provides content for Bing Maps. While Google is a valuable customer, DigitalGlobe’s gravy train is the provision of satellite imagery to government agencies. In an interview with Fast Company, Scott noted that nearly 60% of the firm’s business comes from the U.S. government. That is where the Worldview-3’s super-high resolution kicks in: It’s also where the whole idea of private satellite companies gets really interesting. The United States government operates the world’s finest collection of surveillance satellites. Agencies such as the National Reconnaissance Office (NRO) are responsible for running a sprawling intelligence system with staggering technical assets. Another agency, the National Geospatial-Intelligence Agency (NGA), is responsible for interpreting and understanding the massive amount of satellite imagery the government encounters from both proprietary and commercial sources. DigitalGlobe is among the largest of these commercial sources. This past October, the firm inked an extremely lucrative one-year, $37.9 million contract with the NGA. The contract mainly requires DigitalGlobe to make plenty of cloud-free images, supply the NGA with time-sensitive imagery of “high-priority geographic locations,” and with non-stop delivery of daily imagery within 24 hours of collection. In Scott’s words, NGA’s collaboration with DigitalGlobe is an “affordable way of getting intelligence” for the federal government. One major advantage for the federal government is that working with companies such as DigitalGlobe and GeoEye liberates them from many of the bureaucratic and legal constraints that the military and intelligence agencies face. The military can share privately obtained satellite images with foreign allies without dealing with Cold War-era restrictions; government agencies can also obtain imagery without having to deal with omnipresent department infighting and bureaucratic inertia. More worryingly, the easy availability of commercial satellite imagery to government intelligence agencies raises a host of civil liberties concerns related to domestic spying. Despite landing a large contract, DigitalGlobe is worrying that changing defense priorities could alter their government partnerships. Scott expressed concern to Fast Company that budget cuts in fiscal year 2013 to the Defense Department and various intelligence agencies could limit purchases of commercial imagery. In a recent op-ed for trade paper Defense News, Scott claimed that relying on services such as DigitalGlobe saves the Defense Department money. However, the private satellite industry has one important thing going for it: Continuing geopolitical unrest. Barring a miracle, the situation in Syria will continue to decline and the ongoing conflicts in Iraq and Afghanistan will divert U.S. resources for years to come. In addition, there is always the worry that some new nightmare–Iran? East Asia? The Euro collapse?–will cause an upsurge in government purchases of private satellite imagery. And, if not… well, Google might just be able to negotiate a better deal.